The Ancient History up to the Reign of Caesar begins with the creation of the world as described in the biblical book of Genesis. 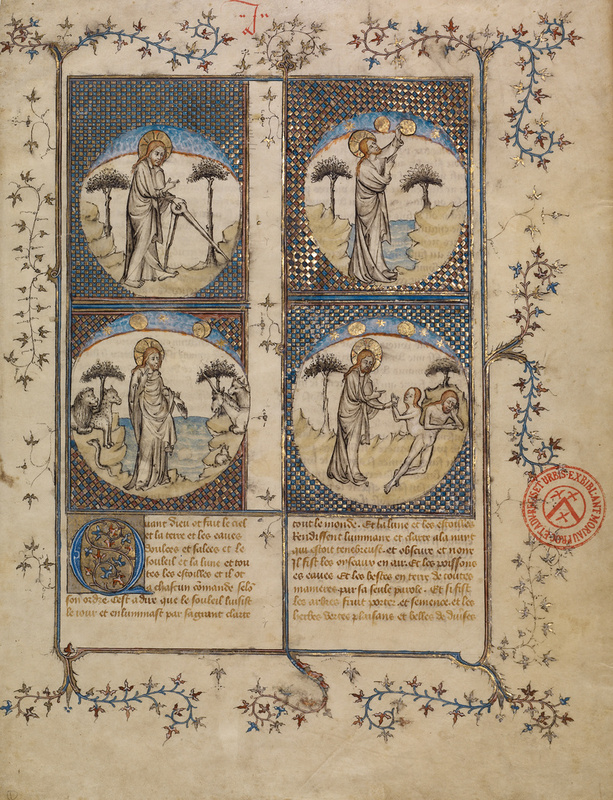 These four miniatures, which compress the seven days of creation into four scenes, would originally have opened the manuscript from which this leaf was cut. At the upper left, God, who is repeated in each of the four medallions, appears with his compass as the divine architect of the universe. 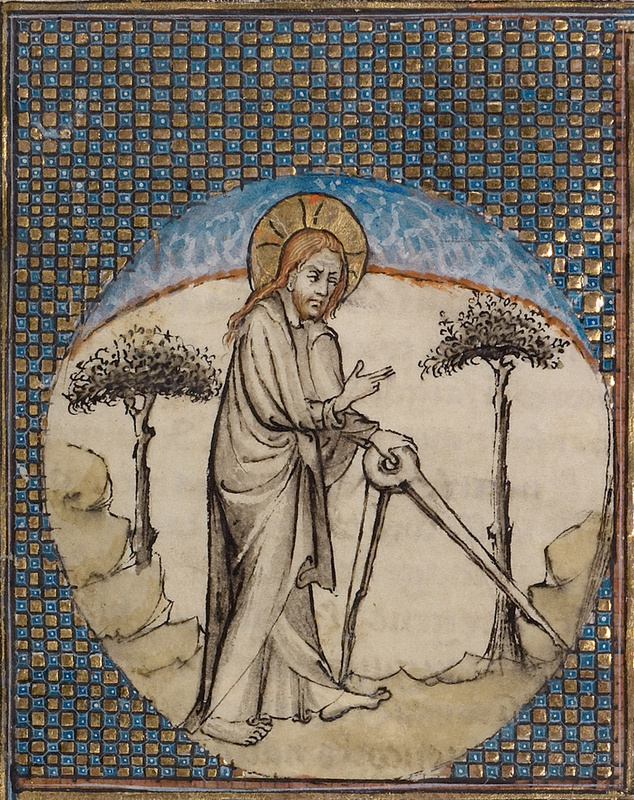 On the upper right, he creates the moon and stars. The image at the lower left shows God creating the fish and animals. Finally, God creates Eve at the lower right, representing the beginning of humankind.